So I've finally fallen down the sheet mask hole that everyone else seems to have fallen down... I can't go into Winners without coming out with at least one mask. (And often more!) There are just so many options to try! To restrict myself even a little bit I've decided to set a limit for myself: every time I go in I can only spend $15 on masks. I've had some hits and misses, and today I'm showing you one of my recent shopping trips. For my $15 this time I got two packs of 5 masks each, and each box was $6.99. Shockingly I loved both of them SO MUCH. Read on to find out why! 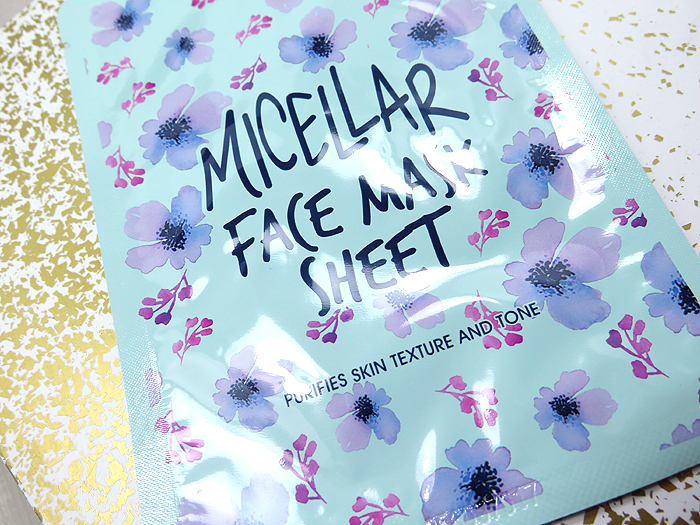 Micellar Face Masks are a gentle and effective purifying solution in one amazing product. Micellar Face Masks are created for every skin type; especially sensitive skin to deliver that must have instant beauty solution. With just one mask, your skin will be hydrated and refreshed without irritation. Our masks are made with Vitamin A & E; the perfect combination to balance all skin types. This mask was so gentle on my skin, and my face really felt hydrated and looked brighter after I took it off. My skin is very sensitive and unfortunately I've found that masks are so hit-or-miss for me when it comes to having a lovely time using them or a painful time ripping them off my face after a few minutes. Thankfully I was able to benefit from the properties in this mask without any issue, and like I said my skin felt super moisturized after. So I'm definitely glad I picked these up! 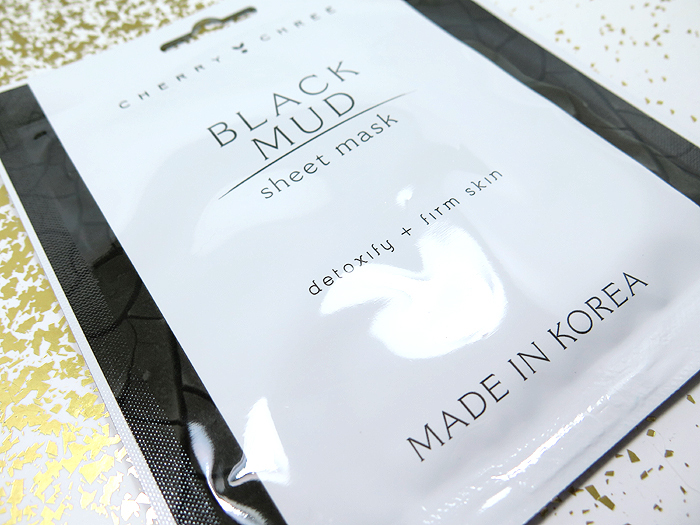 Black mud provides essential minerals & shrinks pores to help detoxify and firm skin. Okay so I have to say right off the bat: I was really disappointed that these sheets weren't black. 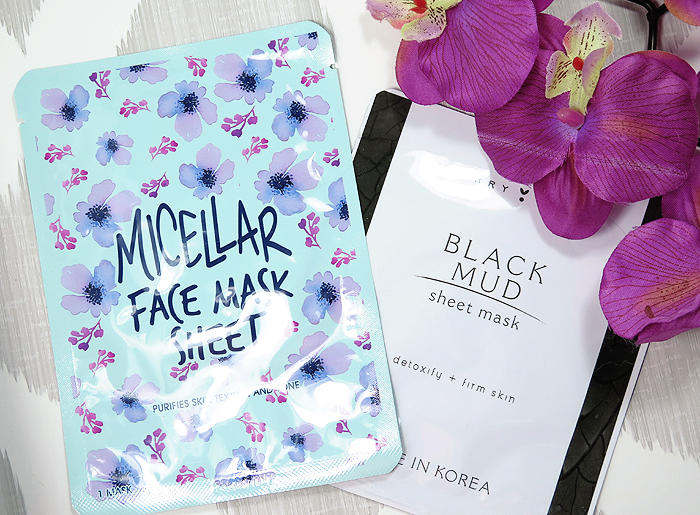 I read "Black Mud," I see the black and white packaging, and I expect there to at least be black masks inside. But nope. :( Regular white ones. Aside from that minor disappointment, I actually REALLY LOVE these masks. They made my skin feel amazing, and though it might have been in my head (because I'm skeptical of real results after one use) it did feel like my skin felt firmer afterwards. This has become my favourite sheet mask ever so far out of all the ones I've tried, but unfortunately I haven't seen it in Winners again since I picked this pack up. :( Guess we'll see how long I can make 5 sheets last haha. Overall these were both definitely worth the price, so if you see them around I would recommend picking them up and giving them a try! 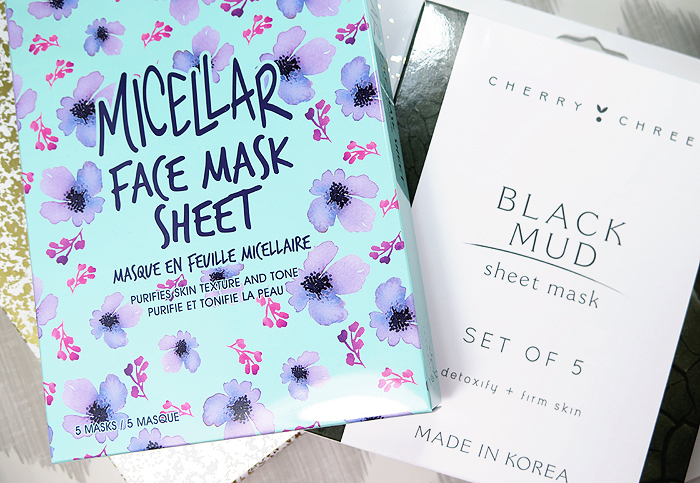 Do you have a favourite sheet mask you think I should try? If so, be sure to let me know! 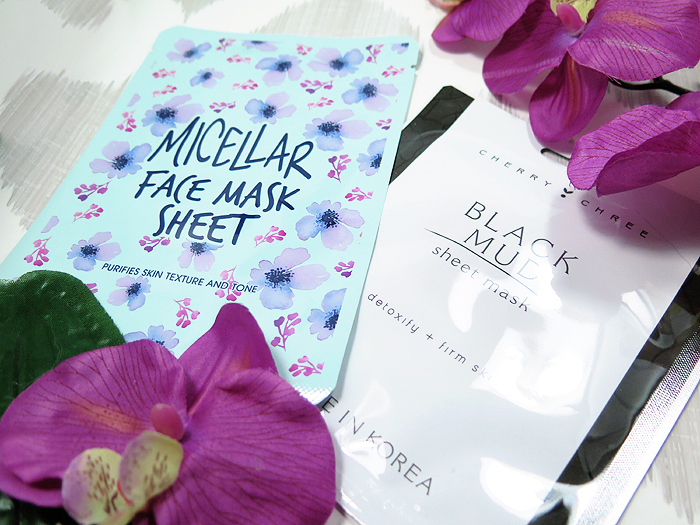 I love trying out sheet masks so these are one I should check out now. GAH! Attack of the sheet masks. I have such a problem with buying sheet masks! I have a million of them. I definitely want to try these!